This past weekend, I attended my fourth and final graduation since flipping my tassel in Killian Court 10 years ago. Four years of college, four years of medical school, one year of internship, three years of residency, and two years of fellowship later (yup, that's 14 years), it's time to get a real job. During this long process, there were times I didn't think that this day would come (and neither did Mr. J). My training has taken me from East to West and Mr. J has followed and supported me every step of the way. It only seems fair that I follow him to NorCal, where we're hoping to settle in for good. Everyone says life gets much better after this...I am definitely looking forward to that! Floral print dress: Nameless from GOGA. Belt: BCBG Runway. Black sandals: Steve Madden. Purse: Chanel Medium Flap Bag. Bracelet: DIY. Today is also Father's Day here in the US. 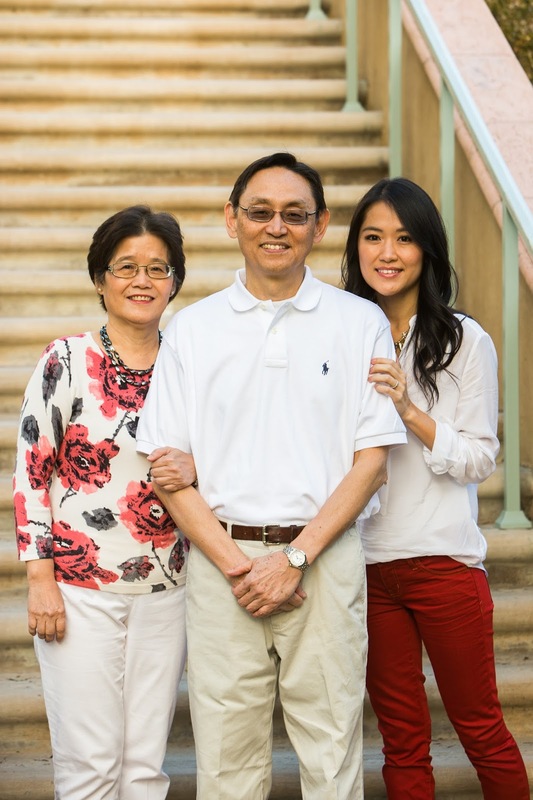 We usually celebrate Chinese Father's Day aka "Ba Ba Jie" on August 8th, but I'm a daddy's girl through and through, so I think we should celebrate dads twice a year! I understand you on the years of of education and training and hoping to finally settle down. I'm from NorCal and miss it dearly. You're going to love the Bay Area! Good luck to you! What a milestone, congratulations! I'm in my 4th year of medical school and it still feels like such a long road ahead. If you don't mind me asking, what flavor of medicine have you chosen? I'm trying to make that decision right now, and it's such a difficult one. Congrats on entering your 4th year of medical school...it is by far the best year! I did a residency in ophthalmology and then subspecialized with a surgical retina fellowship. Try not to let what other people think influence you on your decision...just pick something you'll like!